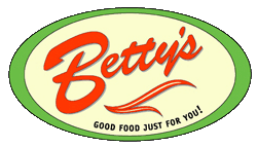 Opening reception: Monday, March 18 from 6:00 - 8:30 p.m.
Betty's kitchen and wait staff are talented in ways beyond what they bring to their jobs in Betty's Restaurant. Each year for the past 14 years they have been invited to share their creative talents in an annual exhibition. Several years ago we extended this invite to their family and friends. The dining public will be amazed at the quality and diversity of this exhibition. archival quality, light fastness and stability.